The Botanical Garden is the oldest scientific collection in Hamburg. It does not only offer information and recreation facilities for the public, but is also an important resource for the university as a teaching and study site. 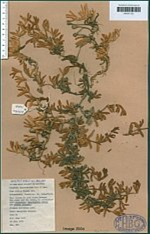 Containing around 1.8 Mio specimens, the Herbarium Hamburgense in Hamburg is one of the largest collections in Germany. 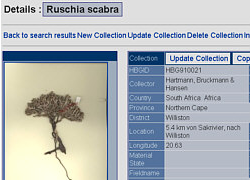 Parts of the collection (Aizoaceae, Orchidaceae, Bryophyta) can be searched online in the Virtual Herbarium with high resolution images of the records. Since December 2004, the museums and scientific collections share a joint coordinator and steering body, the Verbund der naturwissenschaftlichen Sammlungen der Universität Hamburg (VNSH) in addition to the collections mentioned above, the museums of geology, mineralogy and zoology are included.